VAC-TEC LLC. is a professional septic tank pumping company serving Kapowsin, WA, and the surrounding areas. 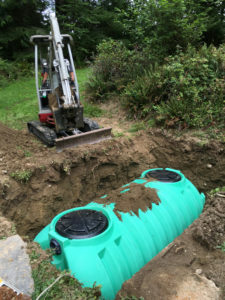 Our friendly and courteous technicians have years of experience offering septic tank pumping services, giving them the skills and knowledge to meet all your septic tank pumping needs in Kapowsin. If you are looking for a quality septic tank pumping service at a competitive price, look no further. You can count on us to quickly and affordably meet your septic tank pumping needs. We customize our septic pumping services to meet the unique requirements of your septic system. Our honest, transparent service is guaranteed to meet or exceed your expectations. When was the last time your septic tank was cleaned? Have you recently purchased a property and are unsure of the service history of your septic system? Neglecting septic tank cleaning can result in costly and inconvenient problems down the line. Timely septic tank cleaning is the key to ensuring your system will work and last longer. Do not wait until your septic system shows signs of trouble to seek professional septic tank cleaning and pumping in Kapowsin. Waiting can lead to clogging and a costly repair bill. Call us for septic tank cleaning and pumping. Periodic septic tank cleaning is much cheaper than the repair or replacement of the entire system. Why Should Kapowsin Residents Choose Us for Septic Pumping? 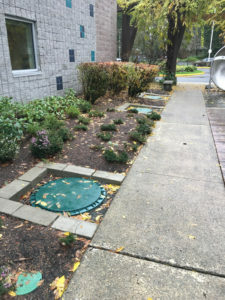 Many properties use septic tanks as a clean, efficient way to dispose of waste water. Septic pumping is crucial to ensuring a well-working septic system. We are the septic pumping specialists for Kapowsin and surrounding areas. We offer professional septic pumping services to commercial, municipal and residential clients. Our prices are reasonable and our customer service is superior. 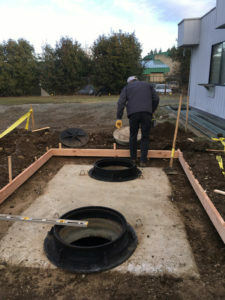 To learn more, or to schedule a septic pumping service in Kapowsin or nearby areas, do not hesitate to call VAC-TEC LLC at Tacoma – (253) 777-4887 Seattle – (206) 339-0039 Olympia – (360) 338-6686 North Dakota – (701) 566-0045.